Next stop: The Winery at La Grange! We had plenty of time once we arrived at La Grange-the sister winery to Pearmund Cellars-to taste all of their 14 wines and get a bit of history. They have a detailed tasting sheet, very similar to the one we picked up from Potomac Point which is a great reference. Both sheets list the area, vineyard, aging (barrel type), alcohol %, residual sugar %, prices and winemakers notes of each wine. I really don't think we found a bad wine in the bunch, but some we certainly liked more than others. As our friendly server walked us down the line we favored the light and refreshing 2010 Pinot Gris, lightly sweet 2010 Cuvee Blanc with 1.2% rs, the smooth 2009 Meritage, 2010 Cabernet Sauvignon, 2009 Bunoni's Dead but Still Red (Cab Franc) and the 2009 Snort a port style wine with 8% rs. The bar was cozy, and the servers were inviting, we also found there were several cheeses, meats and breads for purchase which made us even happier to have wandered in. The Winery at La Grange was established as a farm in 1787 and is apparently haunted by former owner from the 1700s Benoni, who has his own wine as mentioned above. Tradition is to leave a full glass for him on the mantle each night. There is also a basement lounge that is said to be where the ghosts hang out. We took a peek at this cool cavernous room with low ceilings that did give an eerie vibe. 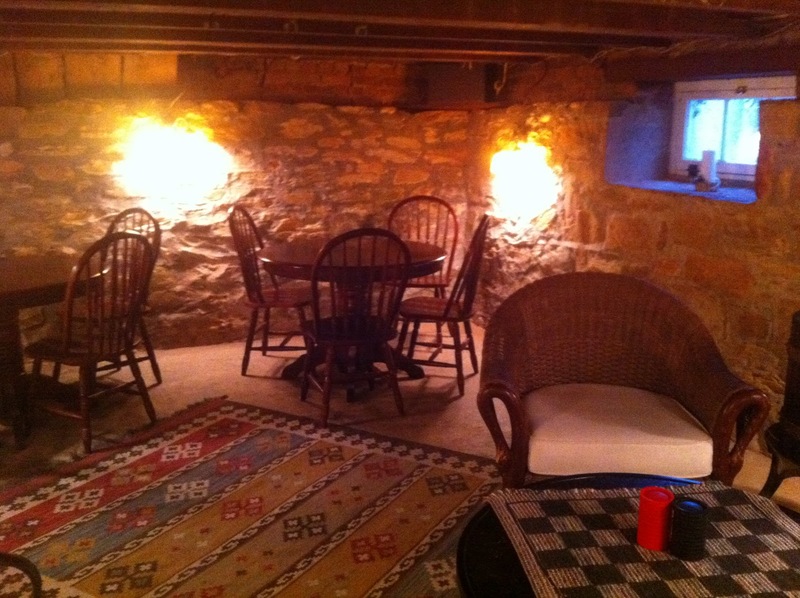 There is also an upstairs sitting room with comfy chairs and fires where we settled down with our drinks and snacks. We were so happy to have made this stop as we finished off the day with good company and great wines in a warm and inviting atmosphere. You'd be hard pressed to not find a wine (or 3) you wouldn't want to take home at this stop! My first visit to Paradise Springs Winery was a year and half before. I've heard a lot of praise for their new tasting room and wanted to see for myself what the hype was about. We made it our second and what we thought would be our final stop for the day. 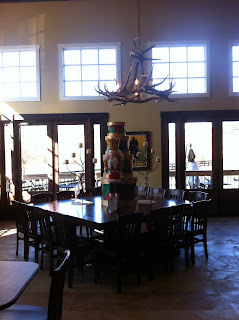 The tasting room was huge, beautiful and luxurious. 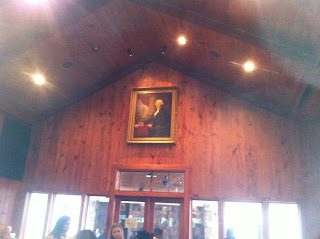 As the closest winery to DC it was packed, very packed. All of the tables, stools & outdoor couches were occupied. 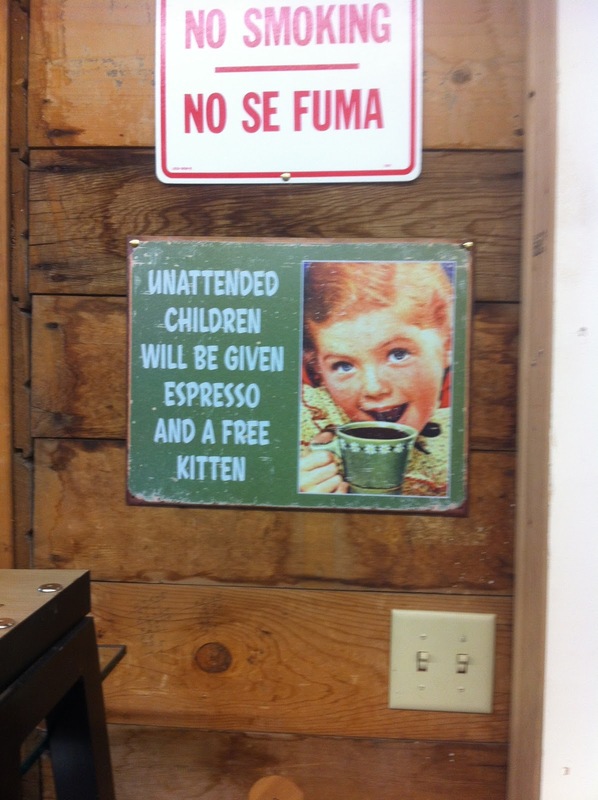 We stepped up to the bar, but there was a wait. Unlike some other wineries there was no host, no server also greeting folks. We stood there unacknowledged for 15 to 20 minutes, to worried that if we left our spot we would miss our turn for the tasting. First of this irritated us, second I hated the feeling of hovering over the other guests who were trying to enjoy their tasting. This tasting was not off to a great start, but we hadn't had the wine yet. We got up to the bar and our server was very nice, but mentioned nothing of our wait or their busy day. or $7 we tried 7 wines. 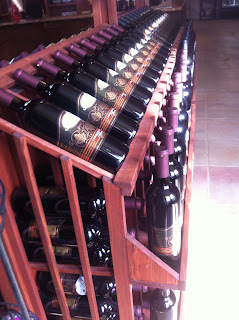 Most of us did enjoy the 2009 Reserve Cab Sav and the 2009 Meritage. The price points for their wines are higher by the glass and bottle than other vineyards. It seems as though Paradise Springs has geared themselves toward the city crowds who want to visit the vineyards, but not get too far from the Beltway. Unfortunately this experience was less than mediocre, instead of sitting and enjoying their wines like we originally intended we quickly left and searched for the next closest option. 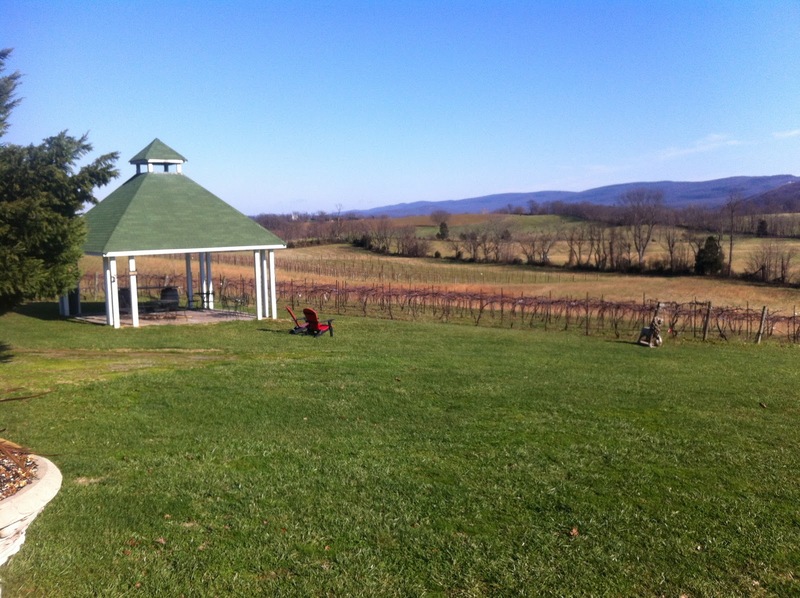 During one of the several long weekends January seemed to have we, Megan, Debbie, Scott and I, decided to visit the vineyards that sat by themselves, the first was Potomac Point Vineyard & Winery. 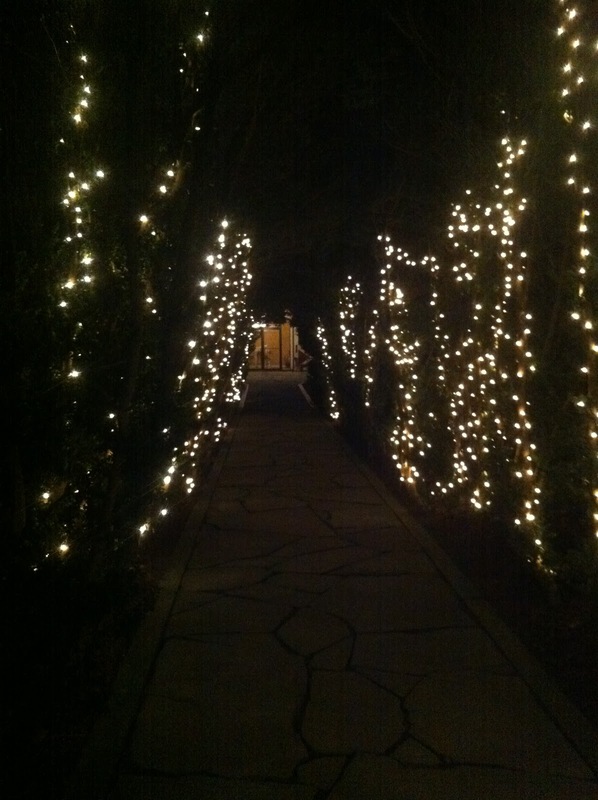 One of my coworkers was married there and raves about it, so it was time for a visit. 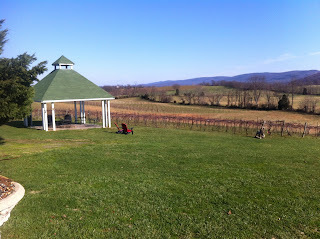 With the holiday weekend it was an easy drive down 95 to the vineyard which does sit alone near Quantico. It was a quiet day there and Potomac Point was much more Italian influenced that I expected. 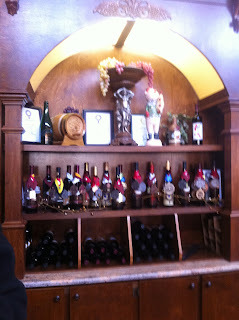 It was decorated with lots of dark wood, murals over the bar and there was an olive oil tasting bar too. We opted for the premier tasting rather than the basic so we were able to taste all 11 wines that were available, since its time to bottle soon they were sold out of a few. They had a very good 2009 Chardonnay Reserve aged in oak as well as the 2009 Petit Verdot-Megan said she could sit and smell this one for hours! To me it tasted similar to the Cab Franc, but was smoother. We also enjoyed the Custom Label White which is 50% Chardonnay & 50% Viognier and their 2010 Abbinato (50% Sangiovese & 50% Touriga) which had a butterscotch nose but we tasted cherry. After the wine, we tasted the lemon, orange, basil and rosemary olive oils which were also enjoyable. Potomac Point has an onsite bistro so we moved to the next room where tables were made from barrels and enjoyed lunch. We opted for a bottle of the 2010 Norton to have with lunch since they were so low on quantities we were unable to taste it. Was that a great idea or what! All 4 of us loved the Norton & I'm pretty sure we all took a bottle home! We enjoyed our visit to this unique winery and recommend sitting down for the food, it was all very warm and delicious especially on a cold winter day. Since our tasting had been moving along so quickly we decided to stop in at a 3rd tasting room, Fujishin Family Cellars, about 2 miles from Ste. Chapelle. 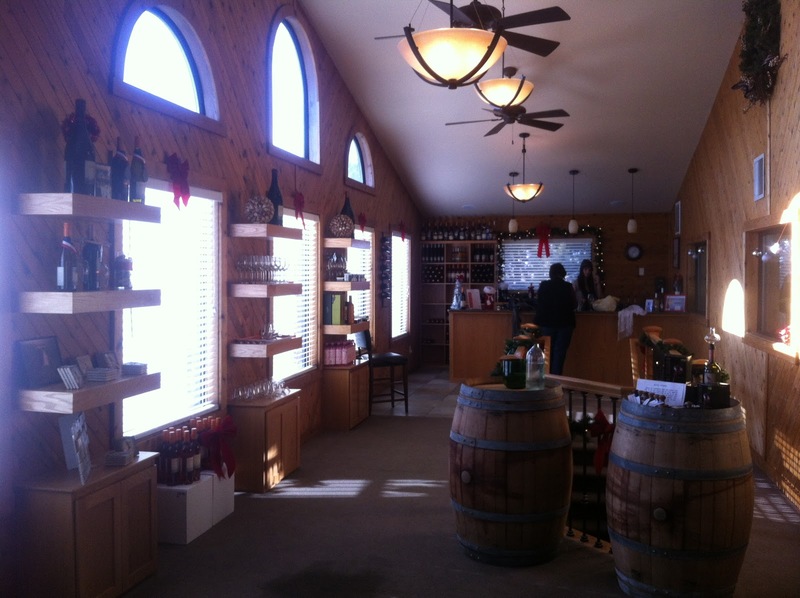 We almost passed by this one as the tasting room for the winery is hosted in an old farm store. 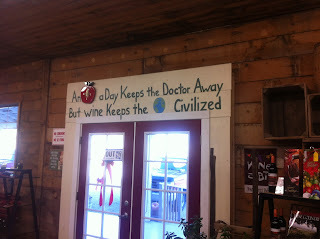 We walked in and found that we could not only buy wine, but also local pears, peaches and apples. The bar was a portion of the sales counter with prices listed on a large chalkboard. 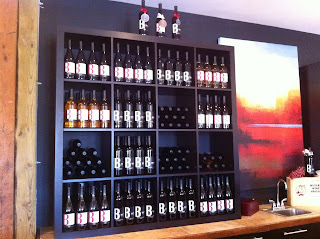 You could taste any number of their 9 wines for free and the hostess was very engaging. 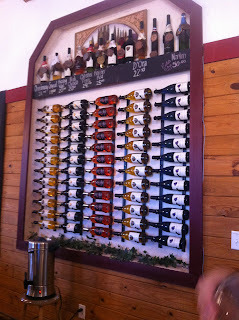 I went almost all the way down the line and picked up a bottle of their Viognier. Mom & Jen liked their Lost West label red & white wines which were a bit sweeter. We also picked up some locally canned peaches which were great on Christmas! 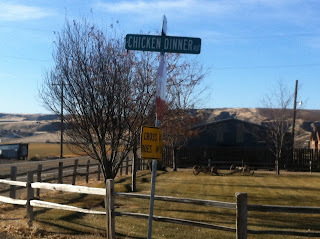 It was a very unique, Idaho experience and would suggest checking it out if only for the novelty of trying wines next to an old fashioned wagon filled with fresh fruit. Seriously?! I really wanted to try a variety, but I also wanted to try something I'd want to take home. 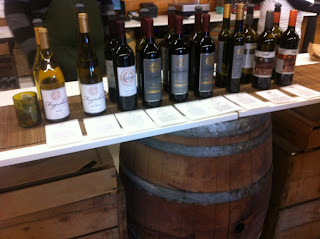 I tasted the Winemaker Chardonnay, a Merlot, a Cab Sav, a Syrah and Ice Cab Franc. I really wanted to compare the two versions of the Merlot and Cab Sav, but alas I couldn't and like the Syrah the best of the bunch. The Ice Cabernet Franc was a decent ice wine too, it had 18% rs and tasted very much like raisins, so if you like raisins and sweet wines this is for you! It would have been nice if the 3 of us all got different ones to taste and share, but Jen and Mom stuck with the whites as they love the Soft Rose and Huckleberry. Ste. 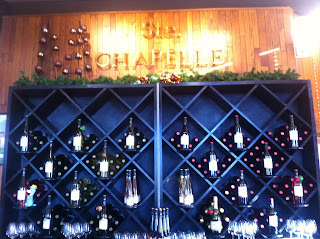 Chapelle didn't list the types of grapes used in their "soft" wines which was somewhat annoying to have to shake down our cheery server for a description of each before choosing which to taste. I think I would have liked this stop much better if we got to sample more than 5 or if they only gave you a predetermined list of 5 and you could add on a few of your choice. I also didn't get a clear understanding of the difference between the winemaker and chateau series. While it wasn't my favorite, it may have been a favorite for Mom & Jen as they stand strongly behind Ste. Chapelle's wines that are easily accessible around town. 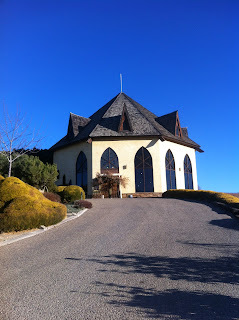 Its worth a visit if you are in Idaho and looking for something to explore, the winery is well known in the area and I'm sure the summer time views are great. I was able to "go home" to Boise, Idaho for a week for Christmas and since it is usually a once a year event I try to pack in some fun activities. 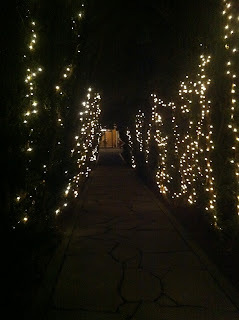 This year one of my sisters, my mom and I visited some near by Idaho wineries. I had brought home a bottle of Virginia wine to share for the festivities, Pearamund's 2007 Ameritage actually, but I did not expect to bring home triple that in Idaho wines! While there are only 33 vineyards in the state they've been producing wine since the 1970s after the prohibition shut down the earliest vineyards in 1919. As of 2007 the Snake River Valley was designated as Idaho's American Viticultural Area (AVA). * Hailing for the Pacific Northwest I knew there were wineries in Idaho, and have tasted several of them, but never visited a winery until this winter. 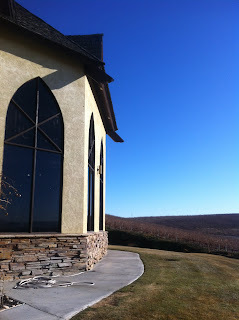 Unfortunately it was a very, very dry winter in Idaho so there was no snow to be found, not even on the foothills so the wineries looked very stark with their brown vines contrasting with brilliant blue skies. Every time I visit in the winter I am pleasantly reminded of how often they get sunshiny days in Boise. Our first stop was to Sawtooth Winery in Nampa, about 30 minutes from Boise. You've probably seen these wines around, mountains on the label with a fly fisherman, they can be found across the country. Unlike the DC metro area once we got out towards the winery we passed no one, not a single car. I started to wonder if we were going the right direction, but sure enough the signs started popping up and we were the only visitors. The mainline tasting fee was $3 and the reserve tasting was $8, but waived with a purchase. We opted for the mainline tasting which included 3 whites and 5 reds. Our server was very friendly and poured their 2009 Chardonnay, 2010 Gewurztraminer with 2% rs, a not so sweet 2010 Riesling with 2% rs. Mom picked up a bottle of the Gewurztraminer and as I quickly learned she likes the sweeter wines. For the reds she poured their 2010 Rose, 2006 Skyline Red (blend of Cab, Merlot, Syrah & Cab Franc), 2009 Merlot, 2009 Cab Sav that you could really taste the Bing cherry in, and 2009 Carmenere. My favorites were the last 3 and I walked away with the Merlot, which was almost a surprise to me, often times Merlots are too dry for my taste, but this one was great. Overall the tasting went pretty quickly even though we chatted with our hostess for a bit. 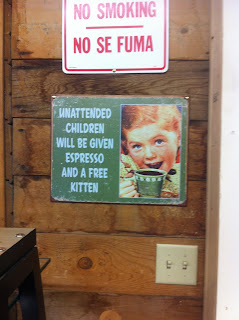 It usually doesn't work this way, but this first stop was my favorite of the day-wine, service & tasting room! If you are in southern Idaho, stop in, but don't worry when you start driving out towards the mountains surrounded by desolate vast fields, Sawtooth pops up like an oasis with great mountain views. Yes, this is a real road and yes, we had to take it to get to our next stop! I've learned that 3 and maybe 4 vineyards is my limit if I'm driving. Its best to be safe and part of why I like longer winery visits is that it gives me time to enjoy the wine and know that I'm being responsible. Since it was after 3:00pm when we finished up at North Gate, Kurt & Carol were headed to Corcoran, one of their favorites, we wanted to join, but I knew it was time to take it easy. Being so close to Leesburg, Lori and I were going to stop by the outlets before going home. 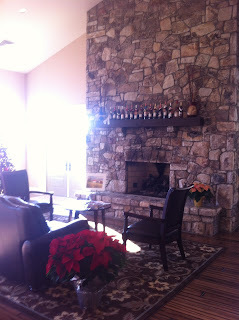 However we made a detour since en route we passed 8 Chains North Winery. So we stopped. We figured it would give us time to decompress from our busy day of tasting before facing the crowds at the outlets. The tasting room was packed as they had a winter craft fair of sorts with local vendors and live music, it was the opposite of all the other stops for the day. It took some time to get some attention at the bar, but we were able to taste their 5 wines. Most of what they were pouring were reds, but we both really liked their 2010 LoCo Vino a Loudoun County blend of 54/46 Traminette and Vidal Blanc. We sat and sipped and took in the boisterous scene for about an hour or so before reaching our outlet destination. Since it was late on an eventful day, the staff seemed tired and it would be nice to go back on a mellower day and learn more about their wines. It would be nice to catch their views too, since it was nearly dark when we arrived and the tasting room was so full I sadly didn't get any pictures. 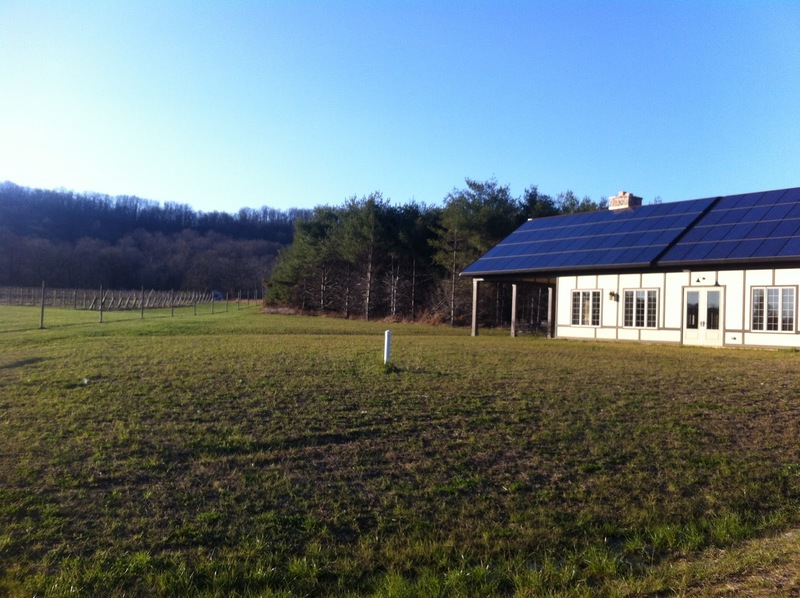 North Gate Vineyard: Sustainable Wine? Typically when tasting we start at the farthest vineyard from home and work our way back, we stuck with this pattern for the day so our next stop was North Gate Vineyard. Stop #3, it was still early in the day, and I needed sustenance to continue. My amateur wine blogging/tasting experience was brought to my attention on this trip since Kurt & Carol have the system mastered! We lunched and then tasted at North Gate. Just when I thought things couldn't get better than Bogati, they did! We tried their 7 wines and we all took home a few bottles. Highlights were the 2010 oak aged Chardonnay, they 2009 Cab Franc and the 2009 Meritage. The rest of the group also thoroughly enjoyed the 2010 Rose. 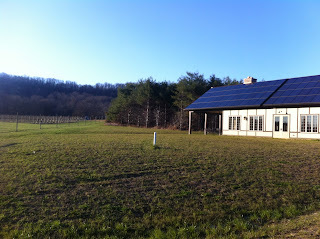 We chatted with Mark & Vicki, the owners, as they told us about their wine making, the facility and its energy efficiency. I was very interested in the facility since I'm kind of a nerd and green buildings are my thing. They are currently seeking LEED Silver certification for the vineyard and fully embrace their slogan "Committed...from Bloom to Bottle." Hopefully they'll break even on the their energy consumption v production for the year, subtle solar panels are embedded on their roof. The tasting room is modern, spacious and inviting and includes an indoor/outdoor fireplace with plenty of tables to sit and enjoy the wines. Another great vineyard with terrifically hospitable proprietors, one I'd recommend without hesitation! Back in December Kurt & Carol of Wine About Virginia invited me to join them on a tasting. It was great! For once I didn't have to plan out a route, they have much more experience with the Virginia wineries than I do so they said where and when and we were there. 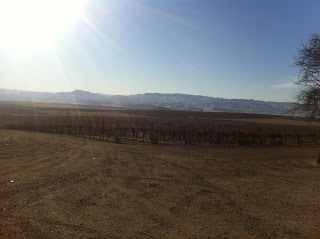 We headed west all the way to the mountains where we passed a bit of snow to get to Veramar Vineyard. We got there just before they opened and were the first customers to belly up to the bar. 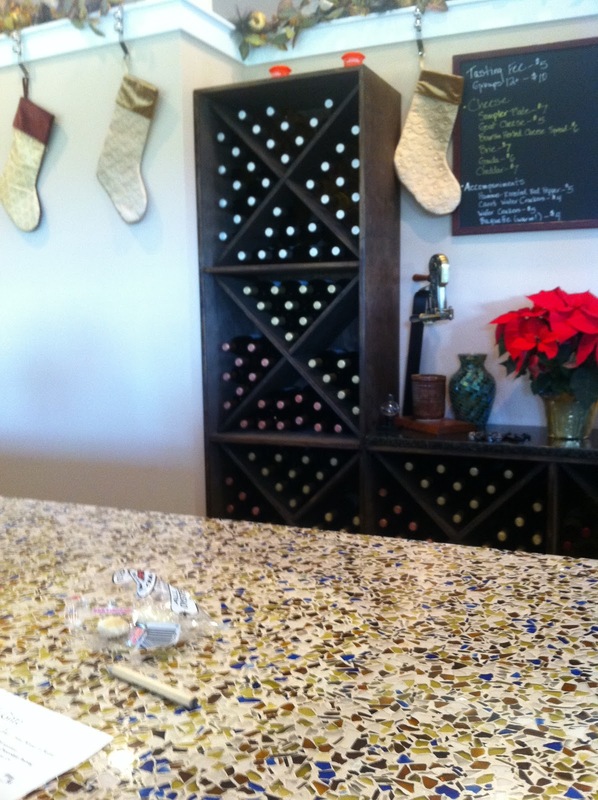 It being December the tasting room was decked in festive holiday decor and a great fragrance from the mulled wine they had simmering. Our server was pleasant and friendly, but unfortunately the wines were not some of the best I've had in Virginia. Most of the whites were a bit sour with the exception of the Riesling/Vidal and their D'Ora a Vidal dessert wine with 6% rs. They had 3 reds for tasting and while the Mourvedre and Cab Franc were a bit too light for me as far as reds go, I did like the Rooster Red which was a bit drier and darker than the others. We had a full day a head of us so we neglected sitting and sipping and headed to our next stop. 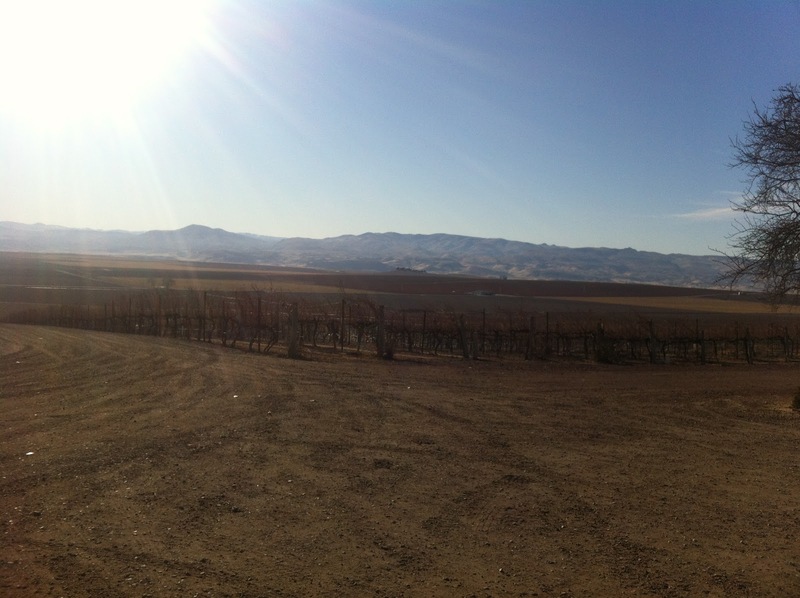 A few miles down the road was Bogati Bodega & Vineyard. Bogati and Veramar are sister wineries, they have the same wine maker and even use the same grapes, but their wines were quite different. It just goes to show that the process of wine making can turn good grapes in to poor wine or poor grapes can make a decent wine. Bogati was also decked for the holidays and instead of backing up into the hills like Veramar it rested next to a lazy river. I think everyone in the group had a favorite wine at Bogati and I enjoyed all the wines we tasted. My highlights were the Seyval Blanc which is 1/2 steel & 1/2 oak aged, the Viognier and Cabernet Franc. They also had the most interesting Syrah/Mouvedre which we were told was very earthy, but when I tasted it I definitely tasted bacon! Of course being the holidays we also had some mulled wine which was a combination of cider and Syrah. There were no other visitors while we were at Bogati and both staff members were very helpful and entertaining from the moment we walked in the door. They also have a great looking tapas menu that Lori & I agreed we need to go back and sample while sipping and watching the river flow. It was a great visit and I'd definitely recommend stopping in to Bogati.